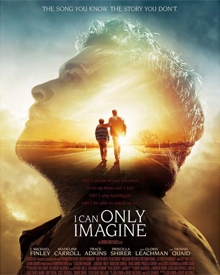 In the movie “I Can Only Imagine,” a son is faced with his horrible past, and only when he does that can he move forward in victory. His dream was to sing for God and make his band successful; however, there was something was stopping him from fully doing that – un-forgiveness. You cannot do a work for God, unless you get the concept of forgiveness. It's a true story based on the life of Bart Millard, and the hit song, I Can Only Imagine, by Mercy Me. It will inspire you to the fact that God can and will save anyone regardless of our past, He loves us that much, it is the whole reason why Jesus came and died on the cross. 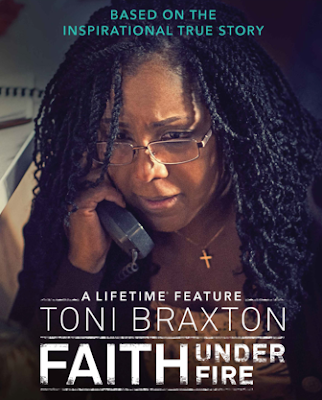 This Easter season I can't imagine a more perfect movie to honor God, and inspire you in your walk with God. If you don't know God, it may just cause you to seek Him out. He's got something great in store for your life.